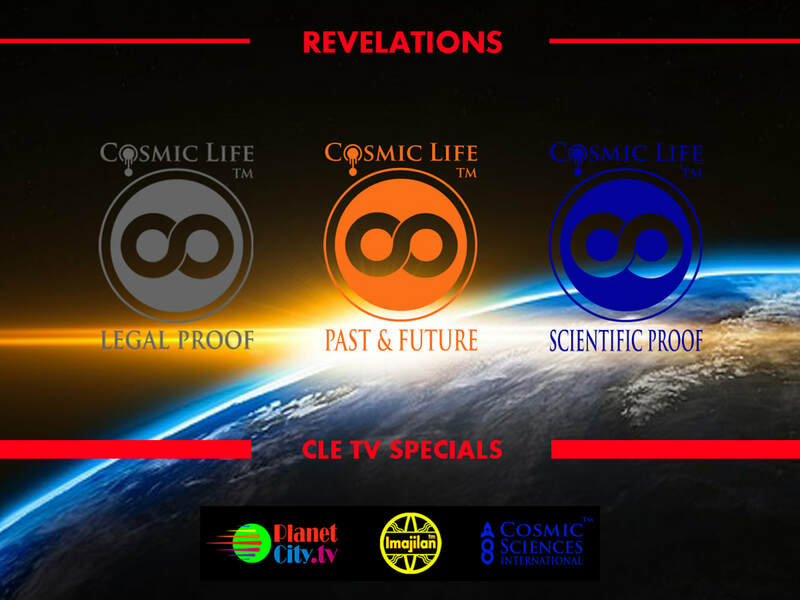 Cosmic Life Exposé™ (CLE) launches with 3-TV Specials. We follow a team of lawyers as they battle it out in an actual court of law to determine legal proof of the existence of cosmic life. The world is introduced to a Blue-Ribbon panel of scientists and experts. We follow along as stunning "best-in-classs" evidence and cases are presented to the panel by the CLE Advisory Council. We will learn firsthand how scientists and other experts evaluate the evidence to make their final case verdicts. The "Past" portion of the TV Special Documentary focuses on the ancient and historical records and evidence of cosmic life. The "Future" aspect reviews the "what if" benefits expected to be reaped by Humanity-Earth post 'cosmic life reality disclosure', including impacts on energy, industry, history, markets, social systems, philanthropy, Earth's environmental health and more. Our Symposium is considered a hybrid event that is both educational (revelation) and entertaining (celebration). You will find it listed under Celebrations.